Aspirants can begin Delhi Metro Rail Corporation Test preparation with DMRC previous papers provided here. 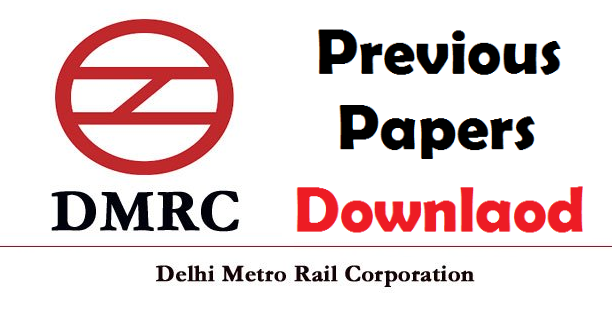 Many people are looking for the DMRC previous year question papers so we have collected few sample and model papers and we have attached them to this post. So the interested and eligible candidates for the Delhi Metro Rail Corporation can collect the previous test papers from here and prepare well for the exam. We are providing the DMRC previous papers based on the designation & job type. There are many designations in Delhi Metro Rail Corporation like Train Operator, Junior Engineer (Electrical), Junior Engineer (Electronics), Junior Engineer (Mechanical), Stenographer, etc. DMRC Recruitment 2018 will consist of two papers: Paper 1 and Paper 2. When Paper 1 contains topics such as GK, Quantitative Capability, Logical Reasoning, and Domain Awareness, Paper 2 is used to test the candidate's ability in English. A wrong answer will result in a deduction of 0.33 marks.